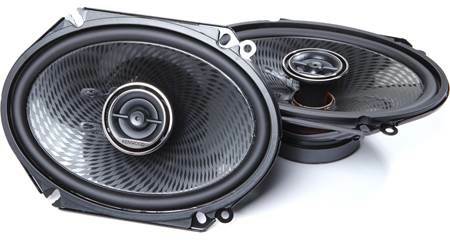 Swapping out your fading factory speakers is a satisfying and often quick way to step up the sound quality in your ride. 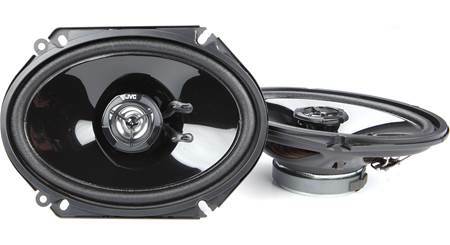 JVC's CS-DR6821 6"x8" 2-way speakers make the upgrade less of a strain on your wallet. 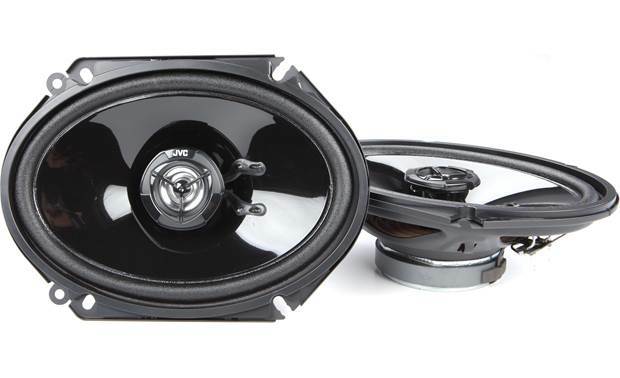 Built to weather the extreme temperatures of life in your car doors, these speakers offer strong performance with good power handling. 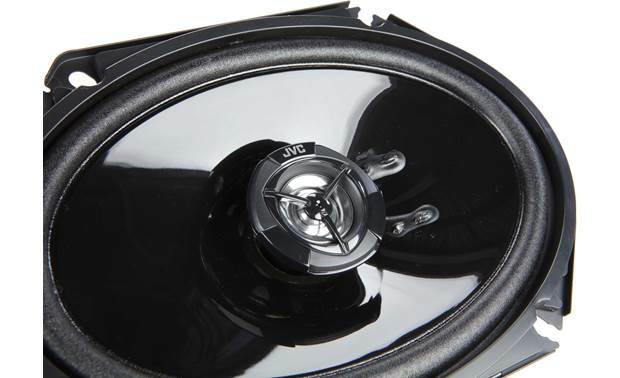 JVC uses a lightweight yet durable carbon mica woofer cone for smooth, consistent mids and lows, plus a 1" polymer film balanced dome tweeter that'll increase your music's clarity. Even when powered by your factory radio, your music will sound much better. Grilles are not included. Great speakers for the money. Deep bass is limited because of the size, but very clear, well balanced sound. Used in a Ford Ranger. 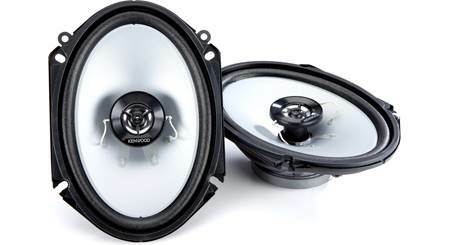 Balanced Dome Tweeter: Each speaker has a PEI (Poly-Ether-Imide) balanced dome tweeter. PEI is a polymer film that produces a wide soundstage for superior imaging. 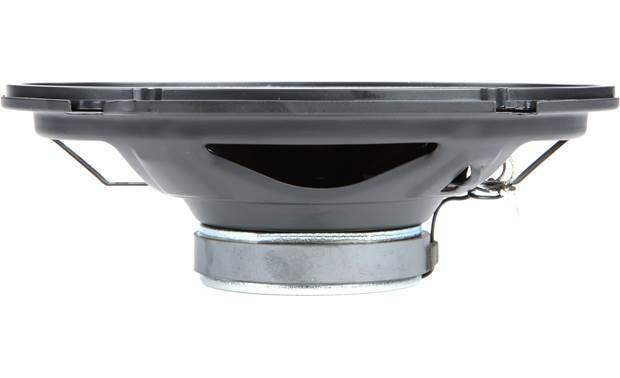 A semi-dome tweeter has a dome placed inside a cone; balanced dome tweeters are semi-dome tweeters with equal reproduction area given the cone and dome portions of the tweeter. 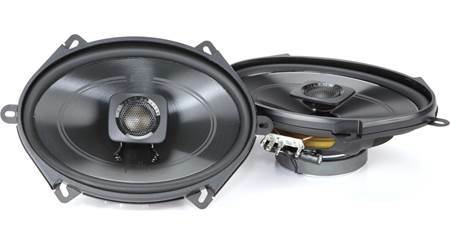 Mounting Applications: JVC describes these speakers as 6x8, but they also fit many 5x7 applications. Please enter your vehicle information to confirm fit. 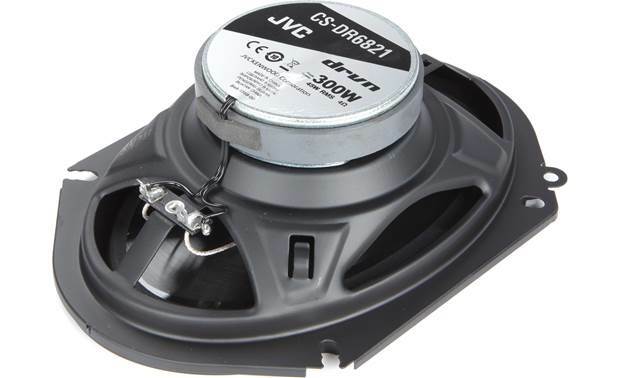 Searches related to the JVC CS-DR6821 6"x8" 2-way car speakers.